Following an ongoing problem with dampness affecting the living room wall of this property, Kenwood were called to assess. 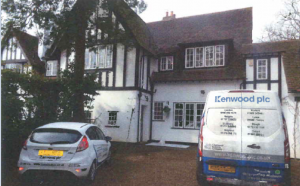 Rising damp was found to be affecting a stretch of wall within the living room and leading through to the reception room. This beautiful semi-detached home was built in the 1920’s with a slate damp proof course. Over time buildings may move slightly or have damp proof courses damaged or bridged and this can cause cracks within the slate. These cracks allow the moisture in the ground to rise up causing internal dampness. To rectify this defect and prevent further problems with dampness, Kenwood have installed a new damp proof course. The walls have been re-rendered and skim finished ready for painting.